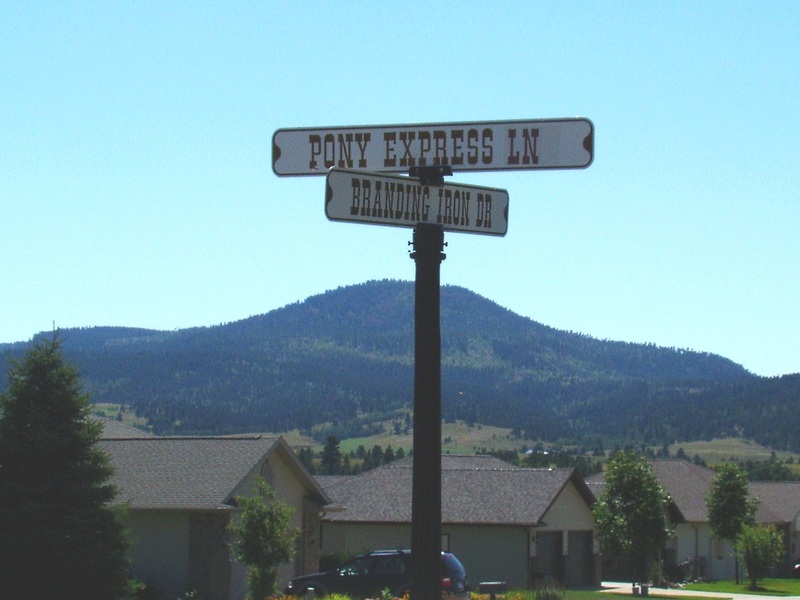 Spearfish, South Dakota is situated in a valley with a northwest-southeast axis. Lookout Peak is the most prominent peak of the northeast skyline of Spearfish. 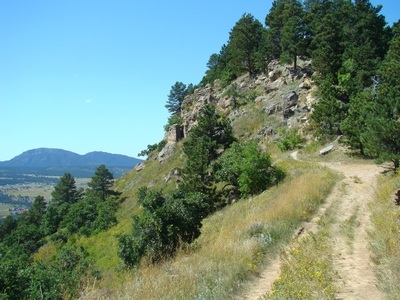 The summit is owned by the city of Spearfish and is part of the 756-acre Lookout Mountain Park. The trail is mostly an old service road that also sees bicycle traffic. The hike should be rated intermediate, due to a little scrambling near the summit, plus the steepness of one section. 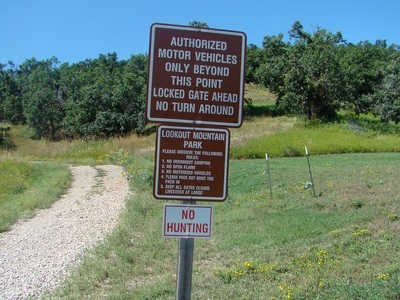 For the most part, the trail surface is good. 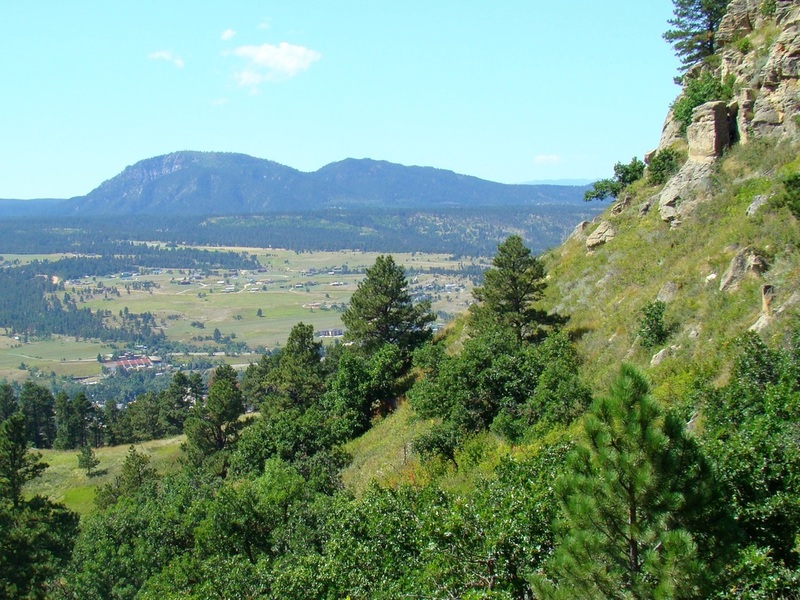 The views from the summit offer great views, especially of Crow Peak to the southwest, Terry Peak to the south, and Bear Butte and Elkhorn Peak to the east. The trail has a few shady spots, but enough open sun that hot weather hiking could threaten dehydration. 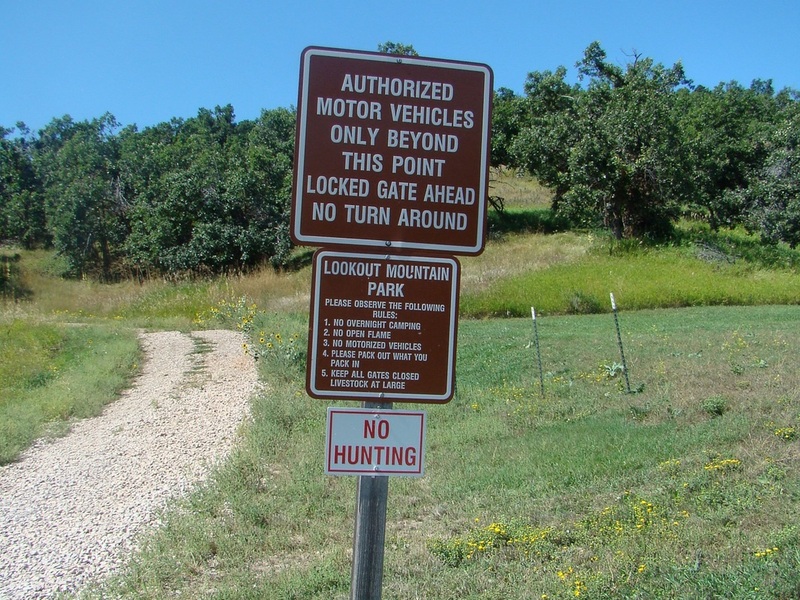 There are rattlesnake warnings, so caution is warranted. 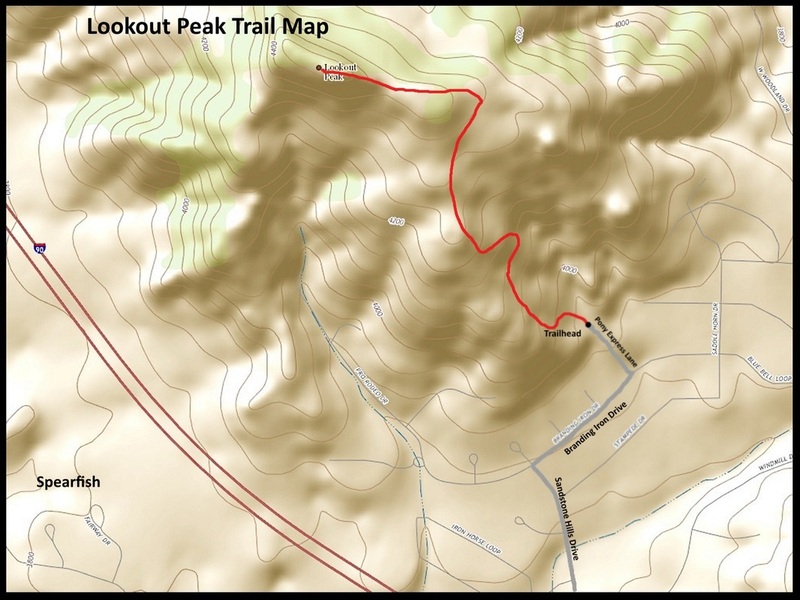 There is a little over 500 feet of elevation gain over this 1-mile trail. 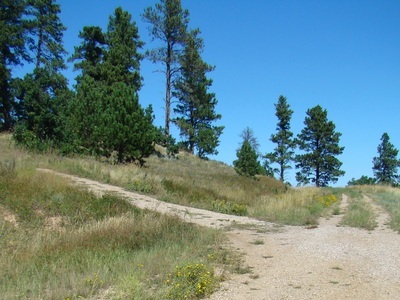 The trail to the summit goes left at this junction.